Two tools in one! On one end there is a tweezer, and on the opposite end there is a root rake. Part tweezer, part rake, this tools can conveniently handle two jobs perfectly. 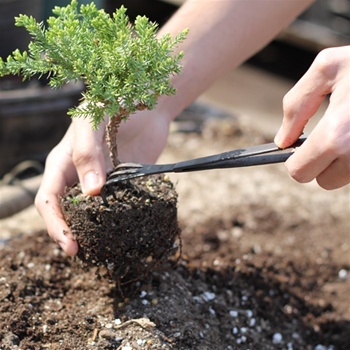 Use the rake end to separate the roots of you bonsai tree when re-potting to loosening your bonsai soil, and with the tweezer end pick off small debris on your bonsai tree including dead leaves or lose branches. 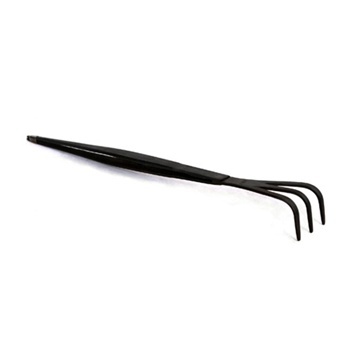 The overall length of the Tweezer/Root Rake is approximately 8.75''. This double-ended tool is an ideal tool for both bonsai beginners and enthusiasts. Carbon steel construction.